Can knitting make you healthier? Some research suggests that activities like knitting and crocheting can provide health benefits like lowering blood pressure and stimulating the brain. Knitting may not do as much for cardiovascular health as, say, 30 minutes on the treadmill, but it could keep your joints limber, lower stress and much more. For more on the health benefits of knitting, click here. CBS News did a special report, interviewing knitters about how knitting was so much more than a hobby. Watch the video here. We have everything to get yourself in shape at 407 North Main Street in historic downtown Kingston Springs. 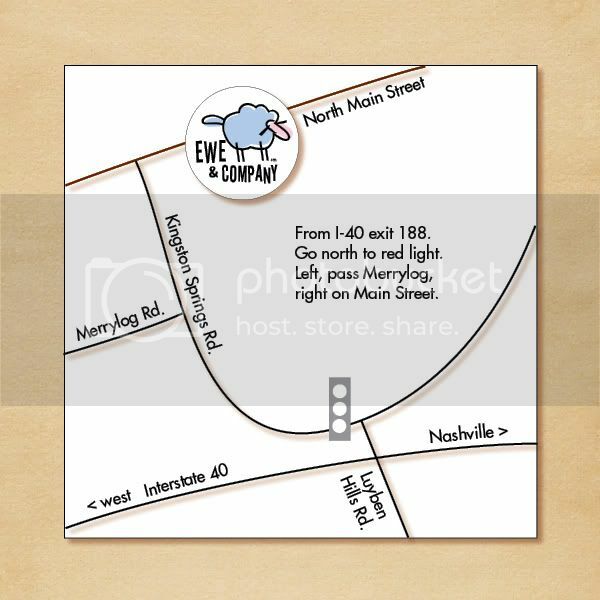 Click here for a map and directions or give us a call at 615-952-0110. This entry was posted in accessories, Kingston Springs, yarn and tagged accessories, Ewe and Company, hand-painted yarn, Kingston Springs, knit shop, knitting, knitting bags, knitting totes, yarn. Bookmark the permalink.